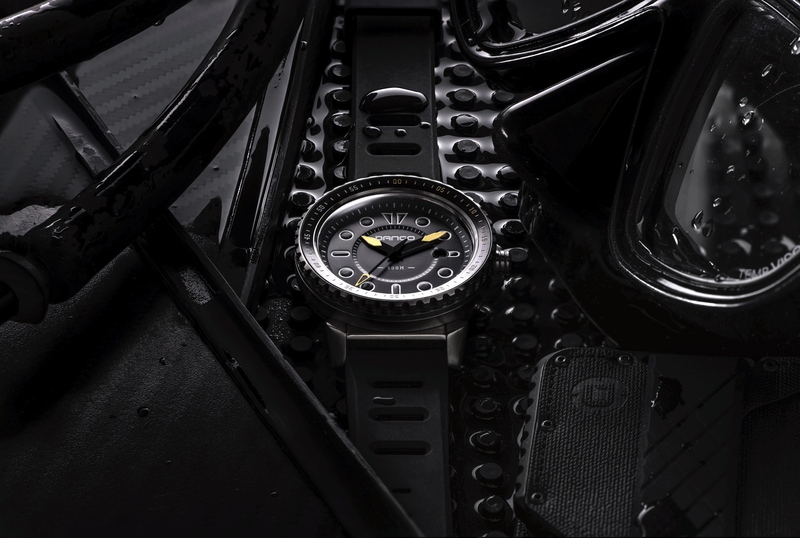 Hamilton watches and leading men’s publication Gear Patrol have partnered together to offer a special version of the Khaki Navy Scuba watch for their online audience. 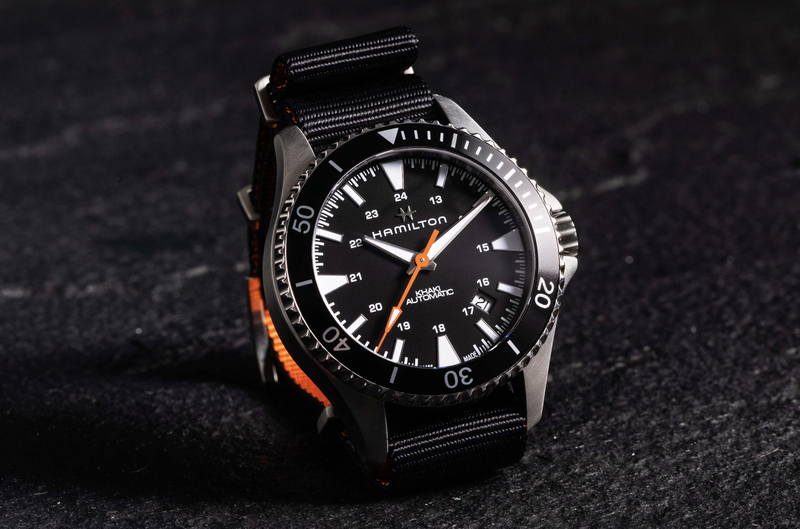 The Hamilton Khaki Navy Scuba Auto Gear Patrol Special Edition comes in an exclusive black and orange color scheme, matching the lifestyle publication’s signature colors. In addition to the bright orange-colored central seconds hand, which is actually on the standard model, the aluminum insert on the unidirectional rotating bezel is all black (instead of black and orange). Also, the backside of the black Nato strap is orange and the graduations on the printed chapter ring are white instead of white and orange. 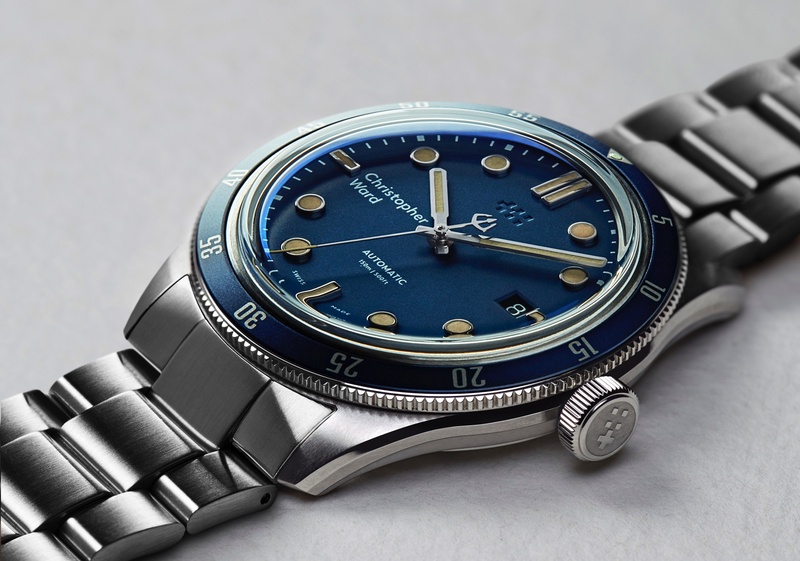 Otherwise, the watch has the same 40 mm diameter stainless steel case as the standard version, large applied indices, and overall a bold and easy to read dial. There is a 24-hour chapter ring printed in white in the center of the dial designed so you can see the military time at a glance. Driving the hours, minutes, seconds, and date is Hamilton’s caliber H-10 which is a 25 jewel automatic mechanical movement that beats at 3.5Hz (21,6000 vph), measures 25.6 mm, and has an impressive power reserve of 80-hours. The watch is shown on the nylon Nato strap and also comes with a stainless steel bracelet, including a strap/bracelet changing tool inside the presentation box. 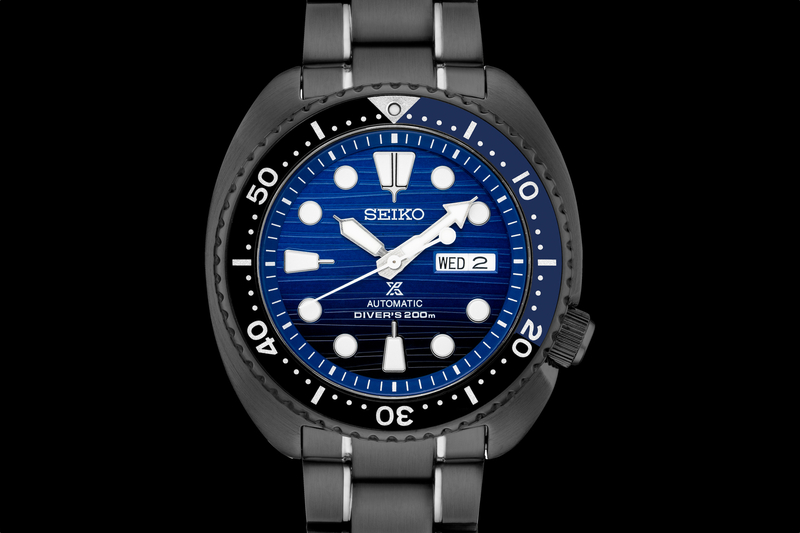 While the watch is not a scuba watch, per se, it’s capable for basic skin diving and is robustly built, with crown guards, a solid caseback, a locking crown, and a water-resistance rating of 100 meters. Learn more at Gear Patrol.